The existence of numerous Crete caves is inextricably linked to the rugged topography of Crete. Since ancient years,Minoans used the caves to worship their major gods. Later, they placed the birth and upbringing of the king of the gods, Zeus, in Dikteon and Ideon Andron. 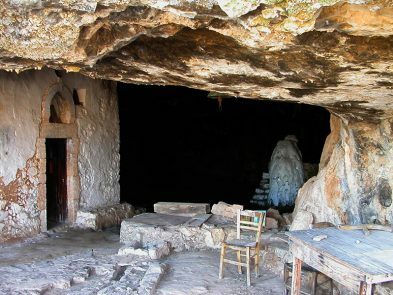 Those two Crete caves became important religious centers of the antiquity. During the Byzantine era, the caves, according to tradition, hosted saints, and turned into ascetic communities. Most Crete caves present a huge speleological and ecological importance. Some of the caves which you can visit and future rich decoration are those of Psixro village, Melidoni and Zoniana Sfendoni. 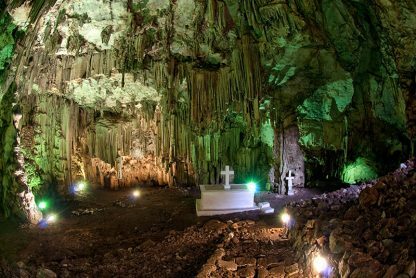 In addition to the accessible caves with religious or historical value, Crete has more than 4,500 mapped caves. 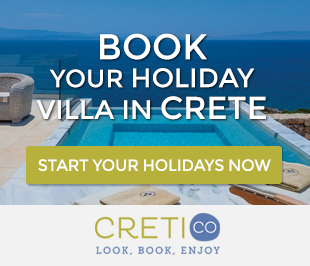 Those Crete caves are available to any experienced speleologist who would like to enjoy their rich decoration and unique fauna. 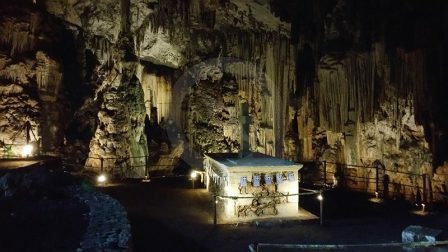 Melidoni Cave is located approximately 1.800 m. northwest of the mountainous village of Mylopotamos, at an altitude of 220 m. The locals call it also “Gerontospilios” and presents a great interest because of its archaeological finds. The cave has also gained an important role in the history of revolutions of the Cretans against the Ottomans. In the cave, the visitor is able to admire the quite impressive first hall, as the archaeologists have closed the rest halls, for archaeological excavations. However, it is enough to impress you. The arched entrance of the cave welcomes visitors and leads them in the first hall, called “The Room of Heroes”. 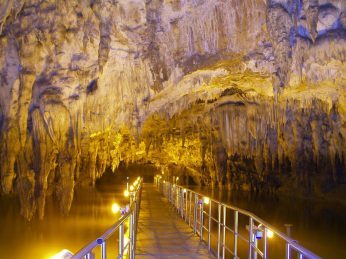 It is one of the largest in Crete, while its huge stalactites and stalagmites are really impressive. 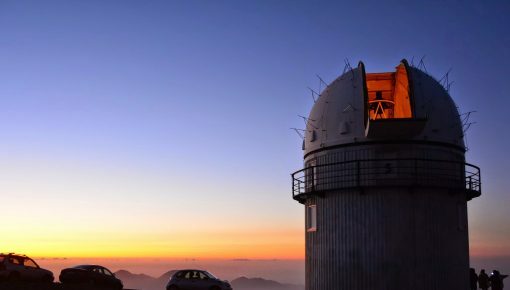 The Ideon Andron is situated on the eastern slopes of Mount Idi (Psiloritis), in Nida plateau. 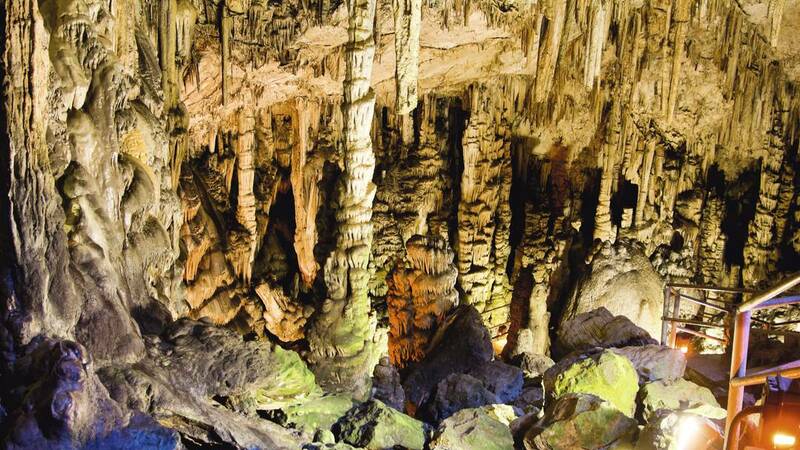 The cave is 24km from Anogia village of Mylopotamos and 78 km from Rethymno. The cave is not of particular geological value, but has enormous mythological and cultural value, as it was the cave where, according to legend, was raised the greatest god of antiquity, Zeus. Geologically, the cave is not very impressive, since it lacks decoration and high growth. However, at the entrance, there are three majestic stalactites to welcome the visitor. The imposing cave of Zeus, the Dikteon Andron, is a 15-ascent from the village of Psixro, in Lasithi Plateau, at an altitude of 1025 m. In Psixro village, there are two paths leading to the cave. The easier path is the one on the left, as on the second one (and oldest), the thousands of tourists worn the stones and they are really slippery. The path to the cave is wonderful as the view of the Lasithi plateau is panoramic. If you do not want to walk, there are donkeys carrying visitors to the cave. Next to the entrance of the cave there is a kiosk, where you can buy tickets. 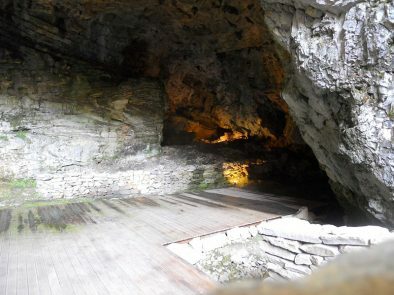 The cave, which has an area of 2200 square meters, has enough light, while there is a well landscaped path of 250 m. length, crossing the cave. 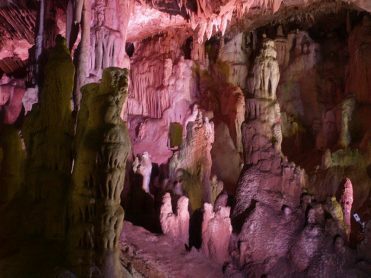 Sfendoni cave in Zoniana is located 1km northeast of Zoniana in Mylopotamos, about 43km from Heraklion and 52 from Rethymnon. It is situated in the southern slopes of Halepa hill, at an altitude of 630m. 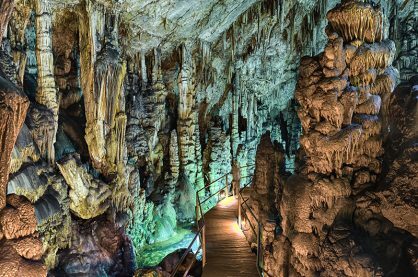 The cave is accessible and is one of the most beautiful Crete caves and one of the most amazing in Greece, rich in stalactites and stalagmites. It belongs to the Natural Park of Psiloritis. If you want to visit the cave, you will need an experienced guide from Zoniana to accompany you, for your safety. He will also provide you all the information about the cave. 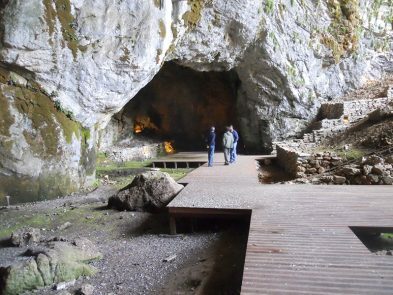 The cave features an area of 3000 sq. m. Guests are able to see the 2/3 of the cave area, by crossing a total of 270 meters long runway. The maximum length of the cave is 145m. There are massive columns that create labyrinthine rooms in the cave. 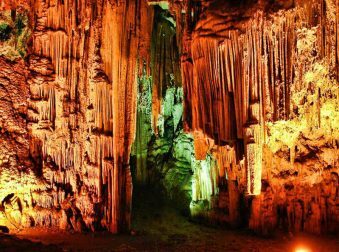 Many stalactites and stalagmites of different colors and shapes decorate 14 rooms of the cave. 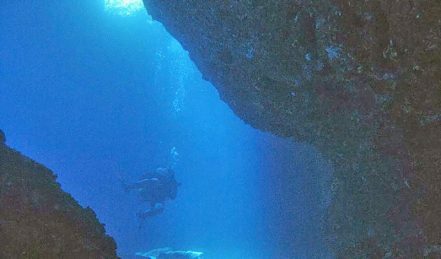 In Drepano area of Akrotiri in Chania is the underwater Elephants cave. The cave was discovered in 1999 by a speargun diver. Right away, the Paleoanthropology and Speleology group organized the first mission of the cave exploration on 31st of March 2000. The findings were fantastic! In addition to the stunning beauty of the cave, speleologists found also elephant bones. The entrance of the cave is within 10 meters depth from the sea surface and continues in an approximately 40-meter tunnel. 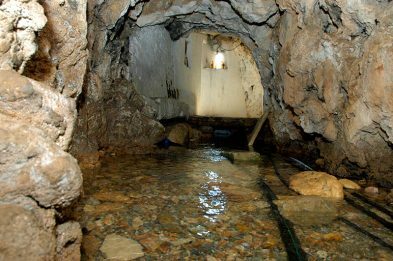 The main hall of the cave, due to its morphology, is partly flooded by water. The depth of the bottom in this chamber ranges from a few centimeters to 4 m. The height of the roof above the water surface exceeds in some points the 10m. The cave of Agia Sophia is located 47km southwest of the city of Chania, on the western walls of the gorge of Topolia. Near the cave passes the main road leading to Elafonisi. Left from the entrance of the cave is the chapel. 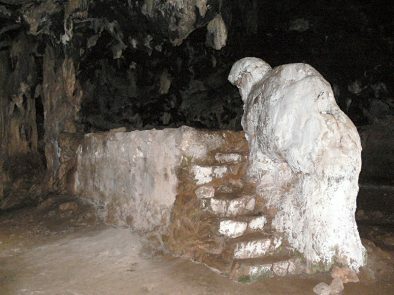 The entrance to the cave features an opening of 25m, while the height reaches the 20m. 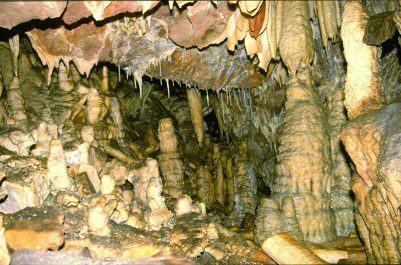 In the cave, there are two rooms with different altitude, the surface of which is full of stalactites. You may combine your visit to St. Sophia cave with one of the most amazing Crete routes passing from Kateli, Elos and Elafonisi. Pelekita cave is one of the largest Crete caves and is 310m long. 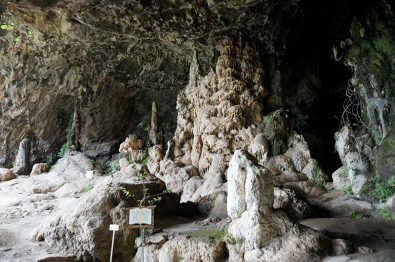 The large size, the rich stalactite and stalagmite decoration and the spectacular rocks make the unknown cave unique on the island. 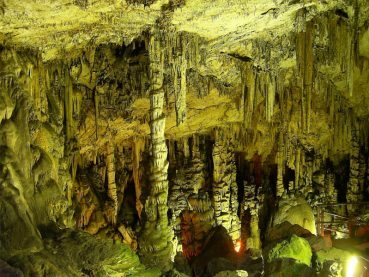 Pelekita cave is situated at an altitude of 100m, well hidden, in the bare rocks of the wild landscape of Zakros. 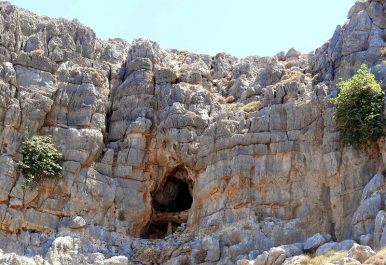 The cave entrance is located 5 km northeast of Kato Zakros in Pelekita region or Sykia. 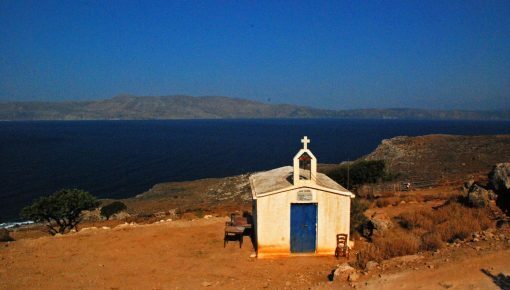 To reach the cave, you need either an hour walk from Kato Zakros or 15 minutes if approached from the sea. 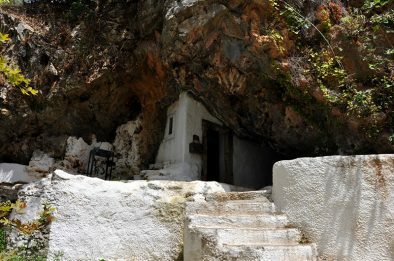 The Cave of St. Anthony is located north of the village Patsos in Amari, in the beautiful green gorge of Patsos. The cave is also known as the Cave of Kranai Mercury, as was the place of worship of Kranai Mercury. 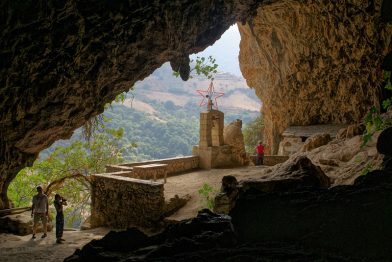 Nowadays, in the cave, you will see the beautiful church of St. Anthony, the patron of children, which is sheltered in the cave of the gorge. The Forests Department has configured the gorge and the cave, in a way, that they can be visited by adults and children. About 300 meters further to the south is a second small cave, called Fournare. Arkoudospilios cave is located in Akrotiri, 2km north of the monastery of Gouverneto, in Avlaki gorge. The cave is well known for the rock in the shape of a bear, due to which, took place the worship of Artemis in the cave, during antiquity. In front of the “bear” is a small pond with water. 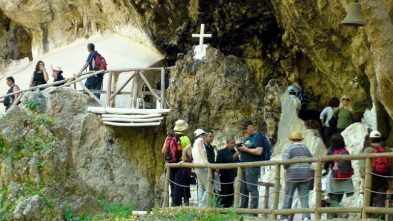 According to legend, Virgin Mary petrified the bear that stole the water in the region from the monks of the cave, who suffered from thirst. In the cave, have been discovered relief inscriptions, displaying Apollo and Artemis. According to archaeologists, in antiquity, the cave was a sanctuary dedicated to the goddess Artemis, which had been transformed into a bear. 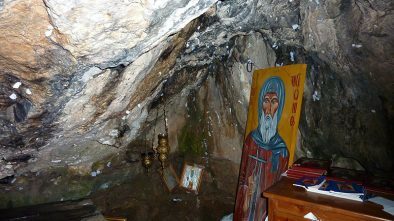 Today, a chapel is inside the cave and is dedicated to the Virgin Arkoudiotissa. The cavernous temple of Agia Dynami is located in Argyroupoli. In the cave, there is the spring of Agia Dynami from which is watered almost all Rethymnon. In the small church, there was a really unique mosaic of Christ, which has been replaced by a simple icon and has been transferred to the Museum of Rethymnon. If you take off your shoes and have a torch with you, you can walk into the cave through the underground river source. After you visit the cave, you may pick one of the taverns of Argyroupolis and taste Cretan specialties cooked with high quality local products.You may continue your one-day trip by visiting Kournas lake. Posted on 04 Aug 2016 This entry was posted in Activities in Crete, Featured Posts.